Character stats for Grigor Blackblade are located below. 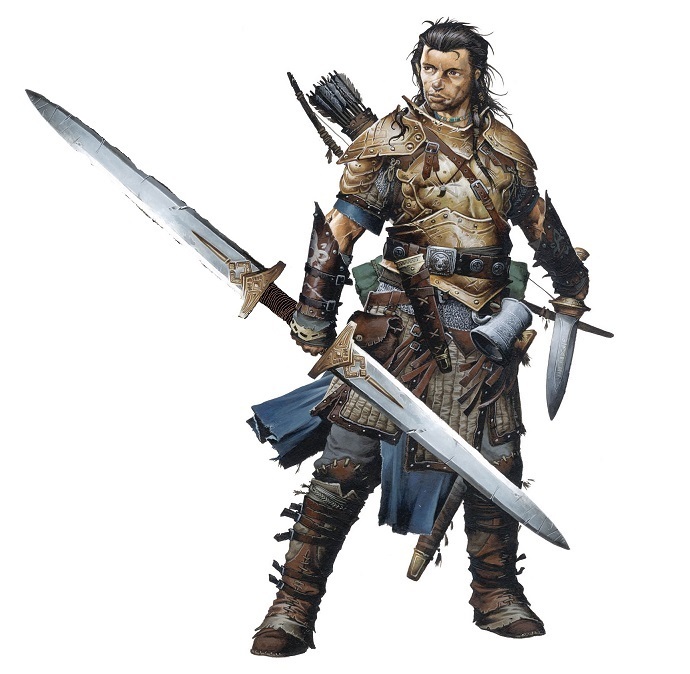 Grigor Blackblade was one of the guards attending Crystal Chernov's "Ritual of Honest Pain" when the followers of Bane attacked the temple of Cyric in Zhentil Keep. When Crystal called for a strategic withdrawal so that they could exact revenge at a later date, he followed her as she was the only Cyric Cleric left alive. He enjoys the life of the bandit/raider for now since it allows him to do what he is best at. He is devouted to Crystal as he sees her as a direct link to their diety and she is also capable of pulling together the most brilliant evil and cunning plots to humiliate and defeat their enemies.